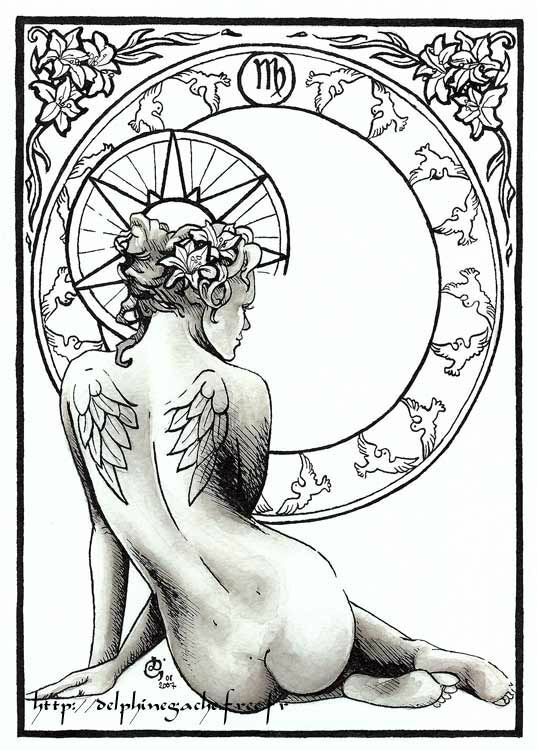 The astrologically associated Virgo Virgin is a perplexing and ambiguous symbol. The maiden can mean many different things. Taken in its most basic and blatant interpretation, the Virgin simply represents virginity. Now, anyone who knows, loves, or lives alongside a Virgo can argue that their modern maiden, whether male or female, is anything but virginal. They are not unstained, they are not innocent, and they most certainly are not prudishly demure. In fact, Virgo may appear to be the opposite of these things. But the purpose of all the astrological glyphs is to explain in a coded manner the primitive psyche each zodiac sign aspires to unearth and embody. It is a message that needs to be deciphered and reinterpreted, and should rarely be taken literally. The kidnapping of Persephone by Hades is one tale that seems to cloak a lot of underlying Virgo inclinations. And it is also one which emphasizes the destructive result of enforced chastity… [in the myth] Virgo is the righteous maiden, the fertile grain goddess, and the kidnapper Hades. Just like Persephone, Virgos want to be taken as they are, and respected for their virtue and goodness. But like real and mythic Virgins, Virgos ritualistically worship perfection, and do their utmost to preserve it. And in their efforts to embody virginal perfection by serving, or living up to strict self-imposed standards, like the earth in the myth, Virgo splits. They try to encompass too much all at once, while repressing an unlived aspect of self. In the story, Persephone is assigned the task of becoming wife and daughter, and winter goddess and spring goddess, integrating the dualistic aspects both roles demand. The Maiden of myth must assimilate the innocence and wisdom which is gained from death and rebirth (symbolized by springtime). Virgo too is set with this undertaking. And it causes much struggle for them when they attempt to be the model spouse, employee, or human being. Because one half of Virgo’s wants (usually the subjective half) must be sacrificed. In their relationship, they lose their independence; and at work Virgo loses their sanctity or personal life for material gain and service. If you want to read the entire astro-anthology, check out my 220 page book, The Zodiac Abstract.